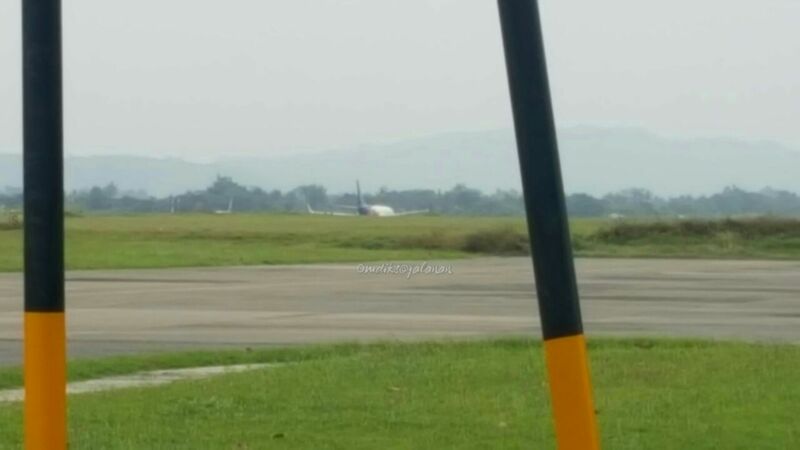 A Boeing 737-800 registered PK-CMN operating Sriwijaya Air flight SJ230 (JOGBPN) blocked the runway at Adi Sucipto International Airport in Yogyakarta (JOG/WARJ) this afternoon at around 1610LT according to an eyewitness. According to reports the aircraft entered the runway to backtrack when it had problems with the hydraulics system A (and loss of nosewheel steering) and notified the ATC. Aircraft could not continue it’s flight. Aircraft was towed onto the apron some hydraulic spills on the runway had to be cleaned from the spill before it can be used. The runway was closed for about 1 hour. In addition, several flights were due to depart.